The Warwick and Warwick auction on September 15 contained a comprehensive collection of Thames valley cards, contained in 6 albums, tracing the river and river-side settlements from its source in the Cotswolds to its estuary. It contained around 1500 cards and was estimated at £1,200. The final realisation, after competitive bidding, was £2,006, including the buyer’s premium. 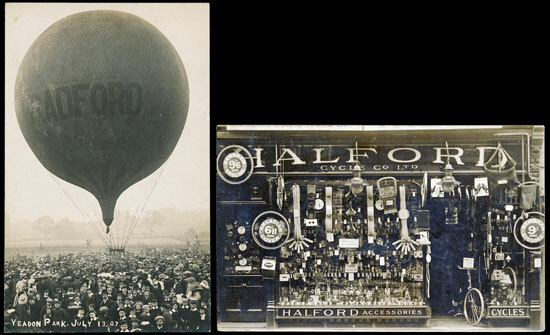 Elsewhere in the British topography section was a detailed shop-front of Halford’s cycle shop at Coventry, which made £52 and a wonderful RP of the opening of Yeadon Park, Bradford, in 1907, depicting the launch of a passenger-carrying balloon, which made £83. 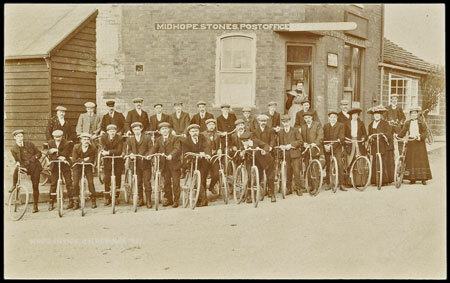 Also in the West Riding of Yorkshire, Midhopestones Post Office with a 1907 Whitsuntide gathering of a cycling club appealed to collectors of post offices as well as to collectors of cycling, with the result that the card more than doubled the estimate, with a result of £52. 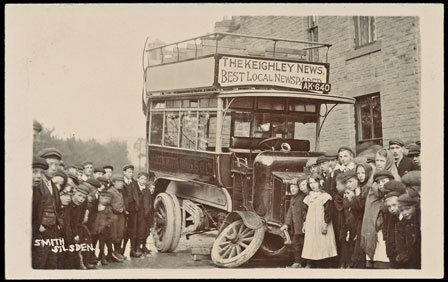 Staying in the West Riding, the Silsden Motor Omnibus Co experienced an unfortunate accident to one of its omnibuses, when one of the front wheels fell off. A photographer captured the scene and added to the interest by getting a large number of local residents to pose for him. This lovely, detailed RP card, anonymously published, was estimated at £70 and realised £142. The sale was rich in foreign collections and they proved very popular. An exhaustive collection of Tasmania was presented by publisher and it was offered as 4 lots, estimated in total at £1,630. The final result was £3,286.China is still very popular despite the stalling of the economy. A collection of 29 cards, estimated at £100, realised £619. 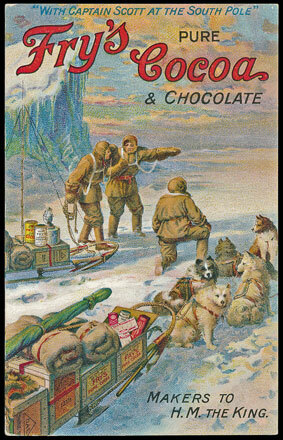 Advertising achieved good results in the subjects section, with £77 recorded for the famous Fry’s Cocoa poster “With Captain Scott at the South Pole”. The market for artist-drawn cards is still a little weak, but a collection of 1200 Davidson-published Tom Brownes, including 960 in acceptable condition, made £1,829 (estimate £1,500) and a collection of 580 Tuck Lance Thackerays, broken into 4 lots, made £2,283 (estimate £1,170). The demand for royalty, Suffragettes, railways, road transport and silks was as strong as ever.